International exhibitions Meatmania, Bulpek, The World of Milk, Wine Salon, Interfood & Drink and Sihre demonstrated at Inter Expo Center the potential of the food and Horeca sector. Setting up a sustainable business is a long and complex process associated with comprehensive pre-planning. The best contacts and top business relationships are necessary for the overall achievement of the set goals. And when all this refers to the food and the Horeca sector, the representatives of the branch in Bulgaria each year focus on the international exhibitions at Inter Expo Center – Meatmania, Bulpek, The world of Milk, Wine Salon, Interfood & Drink and Sihre. This year, from 7 to 10 November, they defined the face and the agenda of the sector, focusing the attention on the products of the latest generation, the high technologies, the innovative ideas and the exceptional solutions that the participants offered to specialized audiences. “The present edition proved that the year-round hard work, the attention to detail and good coordination are the basis of success”, the organizers said. A total of 23 560 people visited the stands of more than 500 direct exhibitors, located on 16 000 sq. m in the six exhibition halls of Inter Expo Center. Recognizing the perspectives and the opportunities created through their participation, companies from Bulgaria, Austria, Spain, Italy, Great Britain, USA, Greece, Romania, the Republic of Macedonia, Thailand, the Netherlands took part in the 2018 edition. A total of 162 of them took part for the first time. This was also the pilot participation of the Department of Agriculture at the Embassy of the United States in Sofia. The traditional joint participation of companies from Italy has been more extensive than ever. Apennines were involved with over 40 companies. International exhibitions are a working example of the high importance of close cooperation with the branch organizations. The professional forums are organized in partnership with the Meat Processors Association in Bulgaria, the Association of Dairy Business in Bulgaria, the National Branch Union of Bakers and Confectioners, the National Viticulture and Wine Chamber, the Union of Fruits and Vegetable Processors, National Hotel, Restaurant, Cafeteria Association, Bulgarian Bioproducts Association. 2018 was even more special for two of the exhibitions – Meatmania and Bulpek. They celebrated their 25th anniversaries. Meatmania offered various technological solutions for the meat industry. 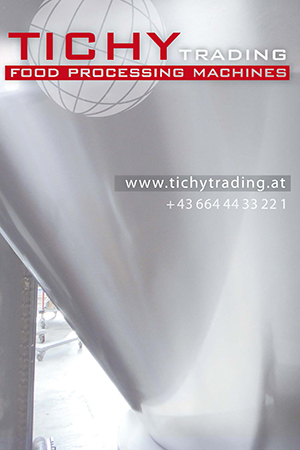 The main focus has become the machines for grinding, packaging, labeling and branding, high technology, production systems and logistic solutions. The Bulpek exhibition passed under the light of their 25th anniversary. Leading bakery plants, producers of bread and bakery products took part therein. Professionals from all over the world were providing demonstrations, giving professional advice and sharing their experience, involving those present in the magic of bakery and confectionery products. Dairy products of near and far were offered by the participants in the World of Milk. The exhibition provided for the 15th time the opportunity to the audience to get an idea of the abundance of dairy products, traditional and innovative products, raw materials, specialized machines and laboratory equipment, refrigeration equipment, specialized software, solutions for Hygiene engineering improvement. The Buffalo breeders Co-operative from the Campania region was among the participants. The Bulgarian capital was also conquered by wine, bearing passion, aromas and flavors from all over the world. At the Wine Salon visitors tasted dozens of exclusive drinks. For four days they enriched their wine lists and their knowledge of special and selected wines, spirits and got information “from the source” about the latest trends in the production processes. For the 17th time the exhibition INTERFOOD & DRINK provided opportunities for introduction to the trends and production technologies in the field of coffee, chocolate, traditional and gourmet food, canned foods, bio products, etc. The attention of the attendees was also captured by the SIHRE exhibition. The International forum gathered professional chefs, hoteliers and restaurateurs, offering modern solutions of professional kitchen, bar, catering, spa equipment, interior textiles and others. An accompanying program at world level filled Inter Expo Center from the opening of the doors on the first exhibition day. The culinary event GastronomiX 2018 took us to the kitchens of famous chefs from Spain, performing in restaurants with two Michelin stars. With the support of the Alimentaria experience, GastronomiX 2018 has become a universe in which the culinary magic of Edward Shatruk, Mateu Kasanyas and Oriol Castro from Disfrutar restaurant in Barcelona was demonstrated. “Our goal is not just to provide good food; we apply new technologies and products”, Edward Shatruk said in the demonstration zone full of visitors. Mario Sandoval – Chef in restaurant Coque, Madrid, “conquered” visitors’ minds with his ideas and knowledge. Having mastered and improved his knowledge and skills in Escuela Superior de Hostelería de Madrid and various specialized courses and “levels” in Madrid, Catalonia and France, Mario Sandoval shared his ideas and culinary performances during his master class. Gastronomix 2018 put the chocolate “under the spotlight”. Together with Radi Stambolov and Borislav Ekzarhov from the Bulgarian pastry Academy, the British chef-chocolatier Martin Chiffers brought to the crowded hall his master class, demonstrating chocolate processing techniques, creating… sculptures. The representatives of the agricultural sector – farmers, processors, representatives of institutions, industry organizations, producers and experts, gathered on 9 November when the Club Investor Agribusiness was held. The forum has put the future common agricultural policy (CAP) on the agenda, as well as new technologies in agriculture and processing industries. The agriculture digitization opportunities were also presented. The professionals defined the 2018 edition as an opportunity which opens doors to new culinary worlds. Literally! Because Tsvetomir Nikolov will be immersed in the magic of Thai culinary culture. Demonstrating high professionalism, he won the Grand Prix of the Culinary competition UniChef 2018 – a Culinary course in Bangkok, Thailand! This year the international exhibitions became an arena for the intriguing Bulgarian Barista Championship. Martin Ivanov won the prize. Barista champion of Bulgaria will present our country in the world finals in Italy. For the first time a latte art contest was held – under the auspices of SCA (Specialty Coffee Association). The prizes for the best packages were also given in the National competition “Prize Pack”. The best products got high marks in the competition “Gold Medal with Diploma” for high quality and original market products and/or additives. Filling the entire congress centre, the exhibitions were a platform for raising key issues in tourism at the second National Conference “Smart Tourism 2018”. The “Bulgarian-Romanian Business Forum” was held as an event of international nature. The initiatives “Healthy and Strong from Childhood” and “Sweet Game with Delicious Food” were aimed at the youngest guests. Intriguing, compelling and even bigger, the international exhibitions for the food and HORECA sector offered the most modern solutions, products and technologies to the business, and to the general public – extraordinary experiences and emotions. “Preparation for the next edition has already started”, the organizers emphasized.